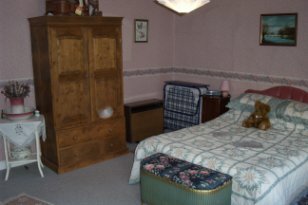 We have three lovely comfortable bedrooms, all are centrally heated, two doubles and a twin room; both the doubles can be used as family accommodation. The larger of the two can sleep up to 4 people and has en suite shower facilities, with settee and small fridge. The second is set within a private alcove and is adjoined by its own bathroom and will sleep up to three guests. 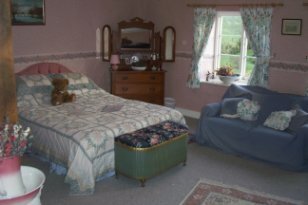 There is also a twin room and this also has ensuite facilities. Double and family room sleeping up to 4. 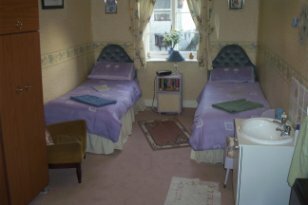 Twin room with ensuite facilities. All the rooms have TV, a comprehensive hospitality tray and DVD players.